Contributing to debates about the relationship between universities, government, and industry, Elizabeth Popp Berman sheds light on how knowledge and politics intersect to structure the economy. Arnaud Vaganay finds the book to be extremely topical: UK universities are now catching up with their American rivals to spur on the growth the country so badly needs. 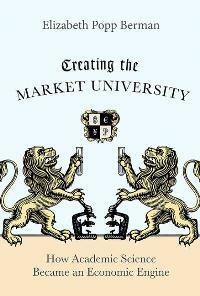 Creating the Market University: How Academic Science became an Economic Engine. Elizabeth Popp Berman. Princeton University Press. 2012. In its Yearly Review of the Internal Patent System published on 5 March 2012, the World Intellectual Property Office (WIPO) finds that universities in the US remain the most prolific in their filing of patents. Among higher education institutions worldwide they account for 30 of the top 50 institutions ranked. These universities serve as economic engines, performing the scientific research that will create new industries, drive economic growth and keep the US globally competitive. Such an achievement is a source of envy for governments around the world. But only a few decades ago, these same universities self-consciously held themselves apart from the world of business. The number of patents issued to universities in 2011 was eight times the number in 1980 and more than thirty times that in the 1960s. Creating the Market University is probably one of the first books to examine why academic science made such a dramatic move towards the market. Drawing on extensive historical research, Elizabeth Popp Berman (University at Albany) makes two central claims about why universities’ behaviour changed. The first is that it was government that encouraged universities to treat academic science as an economically valuable product. The second is that the spread of a new idea — that scientific and technological innovation serve as engines of economic growth — was critical to this process, transforming first the policy arena and eventually universities’ own understanding of their mission. It is to be noted that these changes were not brought about by reducing resources so that universities were forced to try to make money off their research. The author posits that in the late 1970s, the Schumpeterian idea that innovation drives economic growth became increasingly influential among policymakers. This in turn gave a boost to policy proposals that could be framed as strengthening innovation. While academics had previously experimented with activities that were oriented towards the market, such experiments had historically remained relatively local and small in scale. The policy decisions that facilitated the growth of market-logic practices were diverse — influencing arenas from patents and taxes to pensions and science policy — and encouraged practices that focused specifically on the economic value of academic science. By the early 1980s, universities were nurturing the rapid growth of areas such as biotech entrepreneurship, patenting and university-industry research centres. This book’s appeal lies in its break two conventional wisdoms. The first is that this move towards the market is the predictable result of universities ongoing search for new resources. Derek Bok, a former president of Harvard, once observed that “universities share one characteristic with compulsive gamblers and exiled royalty: there is never enough money to satisfy their desires”. Interestingly, Berman shows that the market-oriented practices that began to take off in the late 1970s did not originate in the parts of academic science hardest hit by federal cutbacks. Furthermore, they were driven by mid-level research administrators, not by heads of institutions. The second conventional wisdom focuses on the role of industry in pulling universities towards the market. During the 1970s, many cash-strapped firms cut back on doing research. Industry, it is presumed, looked to universities to replace the basic research it was no longer conducting internally. Popp Berman shows, through the example of the development of biotechnologies, that existing pharmaceutical and chemical companies were actually slow to appreciate and act on the new scientific breakthroughs being made in universities. But the most fascinating aspect of this book is its topicality in Europe. In the UK, the Wilson Review published in February 2012 comes to exactly the same conclusion by stating that “universities are an integral part of the supply chain to business — a supply chain that has the capability to support business growth and therefore economic prosperity”. If the coalition government implements the recommendations of the Wilson Review, UK universities could soon catch up with their American rivals and spur on the growth the country so badly needs. This review was first published on the LSE British Politics and Policy blog on 25th March 2012. Arnaud Vaganay is a researcher in political science and research methodology. Currently a PhD candidate at the London School of Economics and Political Science’s Methodology Institute, he is primarily interested in policy reform, institutions, social research and their interactions – even though his curiosity sometimes takes him far beyond these issues. These interests stem from his previous experience as an evaluation consultant in Brussels, where for about six years he observed the respective roles of veto players, bureaucrats, interest groups and social researchers in the EU policy-making process. Read more reviews by Arnaud.